When you are stuck on traffic or waiting for someone, you may need the help of a game to kill some time. 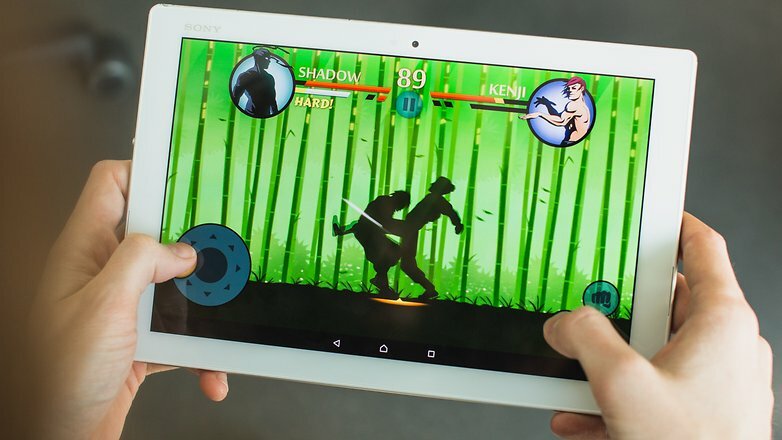 Most of the Android games require data support inorder to perform well. Some may require data connection for even getting it started or some may require data connection to activate certain features to make the game run. But not every user has the luxury of having data connection round the clock for the whole lifetime. So Google Play Store has loaded a variety of Offline games especially for those who do not have the luxury of data connection. I would like to acquaint you with some of those games. BADLAND is a game which is freely available with certain in-app purchases. This game is a 2D runner where you have to run faster otherwise you will be consumed. This game is loaded with exiting graphics and colorful backdrops which is quite incredible. This game is loaded with more than 100 levels. Another feature is that you can customize your own level and you are allowed to share it with your friends. No doubt it is really a timekiller. You can download this game by clicking on this link. Each of these games may cost you $15.99. Normally you require data connection to play these games even though a few Final Fantasy games are available in offline mode, provided that you have logged into them atleast once with the help of your data pack. Final Fantasy games guarantee a non-stop entertainment for atleast 20 hours with various characters emerging on progress and with incredible story line. Even though the game costs you few dollars, it is really worth playing it. By tapping on following links, you can download the game. Kingdom Rush Frontiers comes with a price tag of $1.99. This game is the loaded with a number of missions which can accomplish by three difficulties and with three different modes namely Classic, Iron and Heroic. The game is also loaded with an in-built encyclopedia to grant a helping hand in waging your strategies. This game is really exciting and entertaining. If you prefer to download this game, just use this link. Limbo comes with a one-time payment of $4.99. It is distinct 2D puzzle game where you have to depend on your instincts and progress. The graphics used in the game may not be of top-class, but matches with the nature of the game. Most of the time you may be executed by using bullets, electricity, water or combination of three, but playing this really helps in passing your boring time. You can have this exciting game on your Android device by clicking on this link. Minecraft Pocket Edition may cost you $6.99. Even though the game is not as huge as its computer version, still the developers are trying to provide as much features as its computer version. Here in this game you are allowed to make your own worlds and play them either using creative mode or using survival mode. In survival mode you are allowed to customize build stuff, mine stuff, execute the bad people and have the freedom to do whatever you prefer to. You can download Minecarft Pocket Edition on your Android device by clicking on this link. Normally Smash Hit can be downloaded at free of cost. But if you prefer to have more features like saving, status and others, then you may have to pay an extra sum of $1.99. Smash Hit a runner game and may be the first runner game where you have to throw balls to get rid of obstacles in your path.You may a stipulated number of balls left with you, which you will lose on hitting on each obstacle. You can download the game by tapping on this link. Star Wars: Knight of Old Republic is an action centric game which was earlier introduced to PCs. Now it is available for Android users with a price tag of $9.99. This game has a great story line and may end up drastically solely because of your false decision making. This game is huge with its extensive graphics and colorful sequences. This game is available along with Google Play Games achievements and has loaded with extensively larger contents than usual offline games. You can enjoy Star Wars: Knights of Old Republic on your Android device by clicking on this link. The Room 3 is the latest launch from The Room Franchise and it comes with a tag of $4.99. Unlike the previous versions, this new version is loaded with accurate and colorful graphics along with distinct puzzles which will help you solve each puzzle in a distinct manner. The developers have inserted new features which will in turn provide alternate endings. This game supports Google Play Games features such as cloud saving, but unfortunately offline users cannot avail these features. You are allowed to download this game by tapping on this link. World of Goo is a puzzle game which is available for a price of $4.99. Here you are required to construct a bridge with the help of Goo and earn a 3-star rating. The game also provides for a freestyle mode, where you have to construct a tallest tower. In short World of Goo seems to be a naïve puzzle game, but is hard to complete. Best feature is that this game doesn’t have any in-app purchases and you can download the game by using the link. XCOM Enemy Within, is a strategic game where you are required to progress by following the map and kill those aliens that attacks you. This game comes with a tag of $9.99. This game is quite easy to play and the graphics also looks great. Here in this game you are required to learn about the alien technology inorder to make yourself strong. The game also allows you to upgrade yourself and procure new and stronger team. You can download this exciting game by using this link.